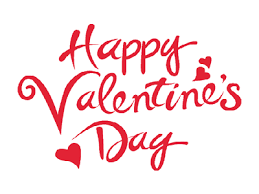 Can you believe we are already to February? I feel like time is moving WAY too fast for me. There are so many fun new patterns that are coming our way I am having a hard time keeping up with them. Here are a few of my favorites that you might enjoy too! 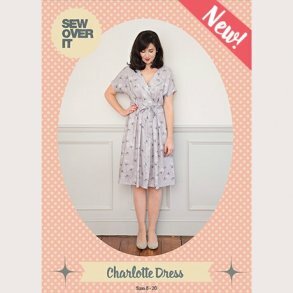 Sew Over It released the Charlotte Dress PDF pattern. It is a stylish and flattering dress on so many shapes. I love the version in red for Valentine's day, but this could be made in so many fabrics for a different look each time. 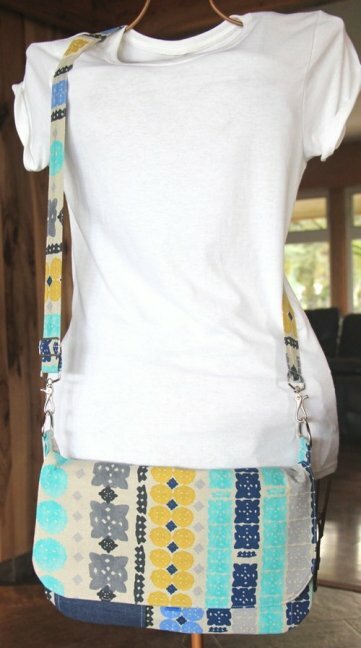 Here is a link to Sew Over it - you can order the pattern, print it and start sewing today! While on the site you will find many other fun patterns, tips and Lisa's new quarterly magazine. If you are in the UK, a visit to one of her shops is a MUST on your list. Itch to Stitch released the Sequoia Cargos & Shorts PDF pattern. These are great for exploring the outdoors, with a comfortable waistband of rib knit and elastic, and ample pocket space for your essentials. Check out this pattern, as well as the many others from Kennis. 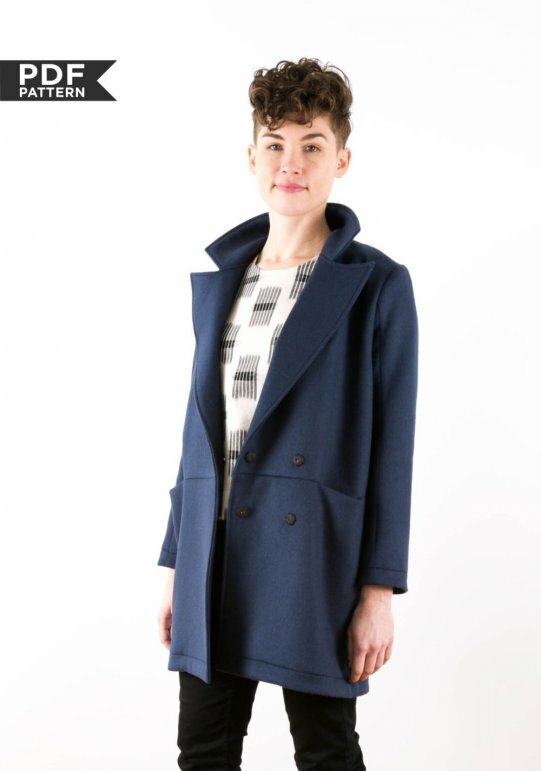 If you still have making a "Coat" on your sewing bucket list, the new YATES COAT pattern by Jen of Grainline Studio is THE make for 2018. Hop on the site and grab this one now. I am so thrilled to see some of the makes that Sewing Studio fabrics have become. It is fun to send fabric to you and then watch the transformation into a beautiful garment. Goosebumps. Heather from Handmade by Heather made a warm Farrow dress from the Black & Gray Sweater. 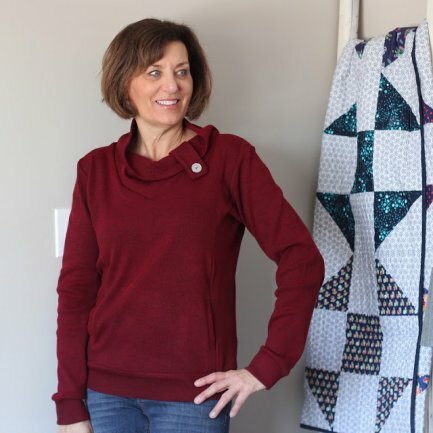 Heather's site is full of fun tips and tricks, she recently refashioned a beautiful coat. Check her out! You will love the energy from Brittany at Brittanyjjones.com. 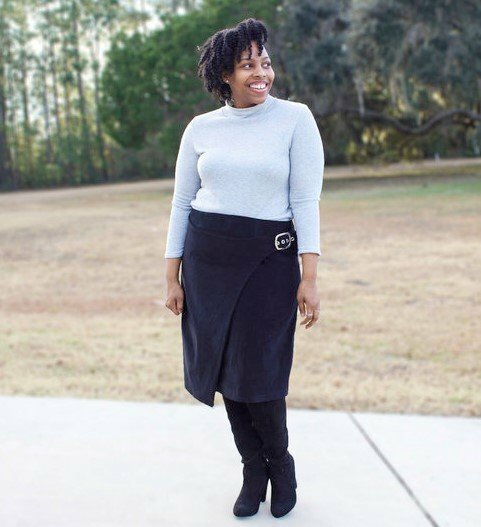 She made a wrap skirt in our 21 wale Black Corduroy using Simplicity 8459. It has a fun buckle that adds a bit of extra eye popping fun to this skirt. Check out Brittany on Instagram - she has wonderful YouTube videos too! 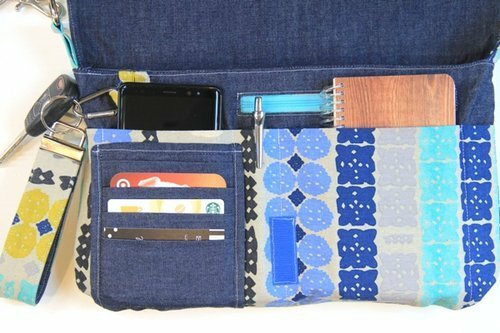 4.5 oz indigo denim to make this bag. We are having fun sharing with you and becoming part of the community. Please watch your emails for weekly Manic Monday posts - these are fabrics that need a home and we are excited to send to you at terrific prices. Keep your comments, emails and tag us on your Facebook or Instagram posts. We are Pdxsewingstudio on Instagram!